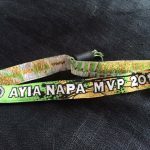 MVP is the official Ayia Napa wristband that guarantees you the best deals & Special offers Ayia Napa has to offer. Our wristband is a holiday essential for saving you money on everything from bars, Clubs, Restaurants, Booze Cruise, Beach Party, Supermarkets, Go Karts, Watersports, Tattoo Shops, Mopeds/Quadbikes/Buggie rentals, Taxis, Gift & Sourvenir shops, just to name a few. 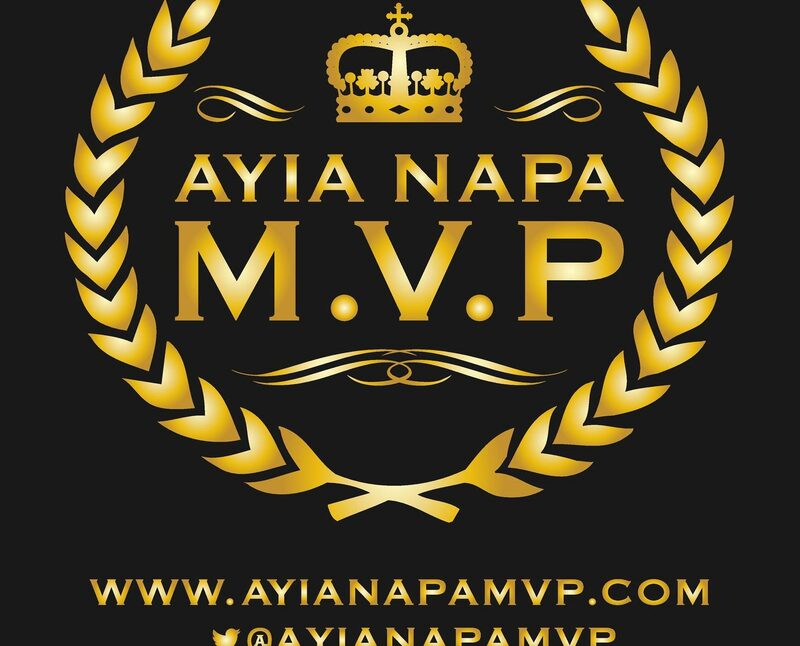 We also have the best deals on open bars and happy hours in all the participating bars in Ayia Napa, So when you think of Ayia Napa, you think of the Ayia Napa MVPs! On the Bungee Jump, Sling Shot, Flyboarding, Water Sports, The Water Park and more! 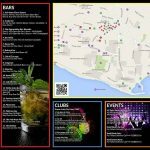 You are going to get Two For One deals in most of the bars in Ayia Napa, including: Cocktails, Shots, Beers, Spirits + Mixers, Jager Bombs! Special 50% deals all over the resort! 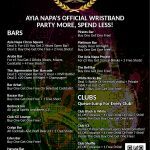 Get Discounted or free entrance to some of the best Ayia Napa clubs! Sometimes it can be boring waiting a long time to go in the clubs and that can kill your party mood. 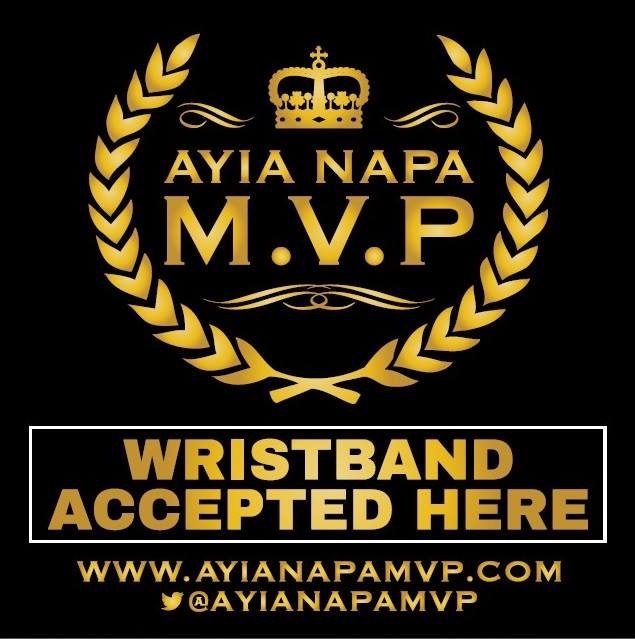 With our MVP wristband you are getting queue jumps to most of the clubs in Ayia Napa! You want to feel like a real VIP on your holiday? 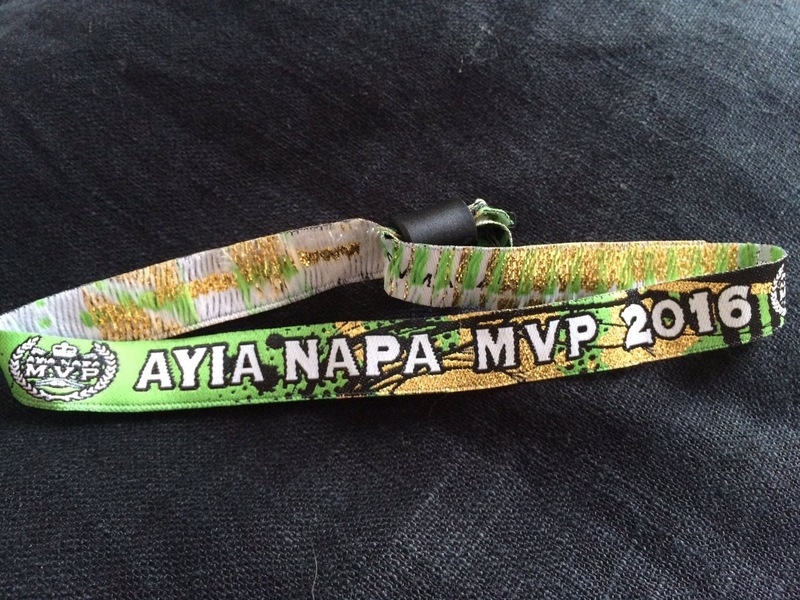 Then the MVP Wristband is exactly for you. 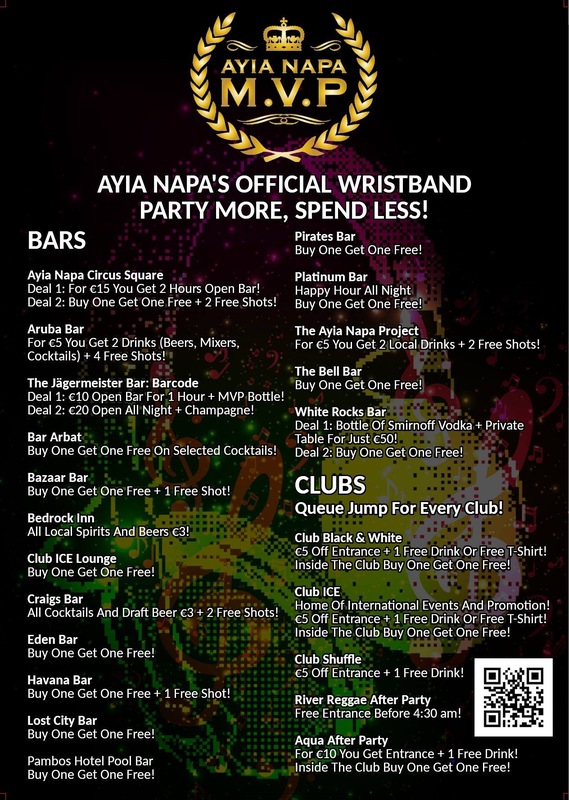 It gives you access to the VIP areas of some of the biggest and hottest clubs in Ayia Napa! You get between 10% and 20% discount on your final bill in numerous Restaurant and fast food spots around Ayia Napa! 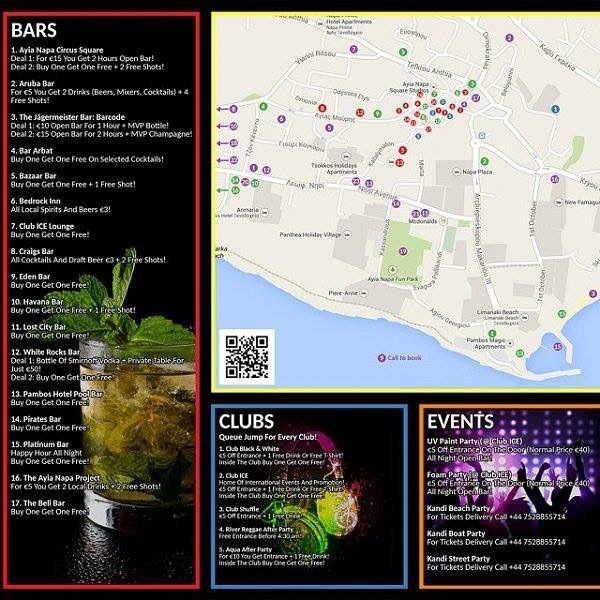 Detailed handy map of Ayia Napa, with all our venues included + all the main spots in the resort. 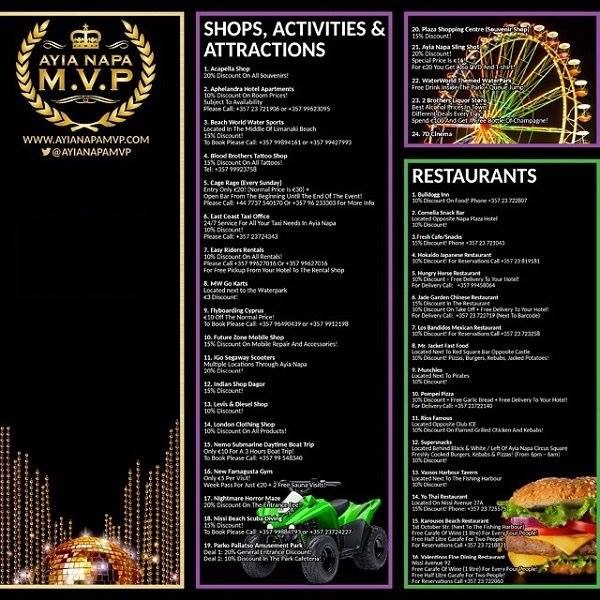 Also you get a small booklet with information about the biggest and most important parties taking place while you are in Napa! You get 15% Discount on all Tattoos from the best tattoo shop in Napa! 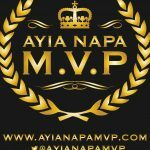 We work with the best company in Ayia Napa, where you can rent your Buggy/Quad/Moped! The most reliable and friendly customer service. 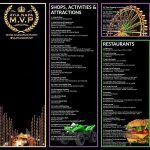 They offer an exclusive discount and a pick-up service from your hotel only for MVP wristband holders! 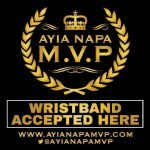 With many of the deals coming with our Wristband you will get free T-shirts, CDs, Photos and different branded Ayia Napa wristbands.